This piece is going to receive a lot of flak. Probably the regular blames will also come about us receiving favours from the makers of Ishqbaaaz. But we thought it’s high time we go against the tide and speak some harsh truth that may sound very bitter to all the fans out there. A show is made by the efforts of numerous people whose mind work behind the camera. The 6 characters of Ishqbaaaz had numerous other people working behind the scenes thinking how Annika will talk, how Shivaay will walk, how Om will recite or how Rudra will crack jokes. The actors made them alive on screen but there are other minds who gave them birth on paper and through ideas. It’s not only the actors who make a show, it’s the technicians, writers, director and when it comes to Ishqbaaaz, the cinematography, set designing and costume department deserve special mention. It’s a team that makes a show and more than one brain and numerous amount of hard work that takes a show to the peak of popularity. Denying all that hardwork, the contribution of every other single unit and insulting the very people who made Annika – Is not the right thing to do. Ishqbaaaz is a story and Annika is a very important part of that story but she isn’t the whole story of Ishqbaaaz. When her part of the story ends, she will leave it and that doesn’t mean that the story will have to end. When we see hundreds of fans rallying behind to end a show, doing everything in their might by spending hard earned money of their parents to actually take away jobs of 300 people for the sake of one actor, who probably will get another show in a few weeks again – We fail to understand what kind of youth we are dealing with? We do value and understand fans’ emotions but this isn’t the way it should come across. If the storyline seemed inappropriate then constructive feedback can always be given to the channel in prior instead of bashing like this in the end. It’s overwhelming to see the amount of love Surbhi is getting right now but fans should understand there goes much more behind what they see on screen. And they might serve their purpose and make the show end but in the process the unseen damage that they unintentionally may end up doing, might never be witnessed by them. There are screenshots roaming around internet where fans are spreading when Gul Khan or Harneet Singh is entering the office of Star Plus, when they are having a meeting and when they can be pressurized them about the same. What if they get harmed in the process? What if things go out of hands? Will the fans take responsibility for their actions? By putting up posters of #NoSurbhiNoIshqbaaz across the roads and walls of the city, they think they are doing some great work of admiration. Girls, do yourself some favour, use that money and put up posters of ‘Save water’ campaign in your own society, plant some trees in your area with that money or the least, start a campaign about changing the TRP system of India through your activism, so that no good youth show face such fate again in future! Fact is – Shivika has no story left. Another fact is, the producer Gul Khan and actor Surbhi Chandna are friends. Another fact is, probably they will again work together in future and also no matter what you fans do, few weeks or months down the lane you may see both of them party hard together in future for either of their another show’s success. They mutually admire each other and they are aware of professional hurdles that often friendships go through. Surbhi Chandna is given her first break by Gul Khan and so did her second. We don’t understand in such scenario, why people are hell bent on maligning the image of the producer, her rapport with the actress and making the actor a scapegoat unnecessarily. Television in a way is a very small world. An actor works with the same producer or same writers in one way or the other every other day. 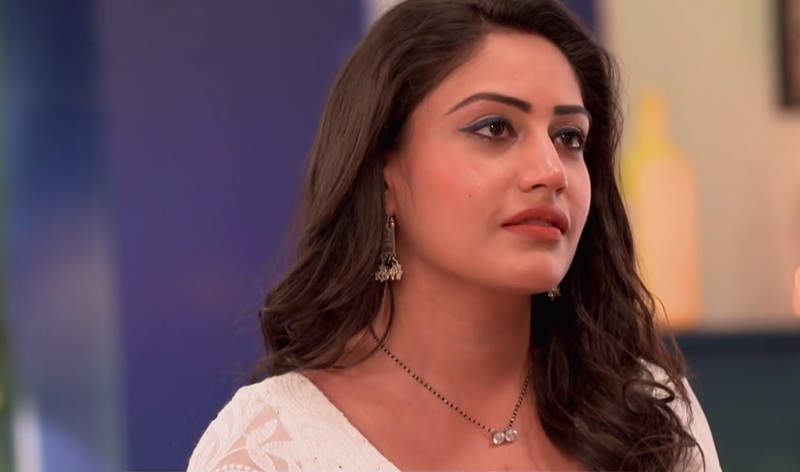 Some day Surbhi Chandna may work in the same production house or may be a different production house but with the same writers – Her fans should be considerate of her friendly rapport with them and not malign people who have worked with her because ultimately these people may or will again work with her in future. Real world isn’t at all like the twitter world. What you see, imagine or rather build in your head might not be true at all. There are 300 people working in and earning from Ishqbaaaz, rallying up denying their contribution, ignoring their existence and insulting them will earn no good to anyone. There are many people who worked to make Annika a favourite character. Annika in return enriched and made Ishqbaaaz a beautiful and memorable experience. But she isn’t the whole of Ishqbaaaz. We love her but our love shouldn’t become toxic to others or to the one whom we love. There’s a very simple principle in this show business – No actor is bigger than the character and no character is bigger than the show. So no matter what happens, ‘The SHOW MUST GO ON!’. And anyone who doesn’t adhere to this basic principle, doesn’t respect it and humiliates it, isn’t fit for show business. Television actors and technicians sacrifice a lot to make a show run. Their sacrifices should never go into waste. Some fans are demanding to end Ishqbaaaz because Surbhi Chandna is not going to be a part of the show. We want to question some sane people here. What are you going to earn by shutting the show down except satisfying your own ego and taking away jobs of hundreds of other people? Is it going to do any good to Surbhi? No. May be she will be in another show pretty soon or at least offers pouring her way to consider. Is it going to harm Gul Khan? No. She already has two successful shows running on the same channel with 2.0+ TRPs. She will start another show may be in some time. Surbhi’s fans may also sit to watch the other show Surbhi will go on to do. You won’t be harmed expect wasting your time. Surbhi won’t be harmed. Producer won’t be harmed. Just the people who worked tirelessly day and night to make the show reach this height will be denied their deserving acknowledgement. They are made to feel as if they never existed and didn’t do anything at all for the show! It’s disheartening to see sense going out of the door for so many people who are busy spreading rumors like Gul Khan is conspiring to get rid of her actor. It’s kind of funny because the same rumors were made to float around during Iss Pyaar Ko Kya Naam Doon (IPKKND) too. Having said that, it’s also quite funny to see how fans are giving example of IPKKND and saying that they should continue the efforts to end the show because that’s what happened to IPKKND at the very last moment. What no one is bothered about is that what price Barun Sobti had to pay for his well wishing fans! The show was shut down at the last moment but he had to take the blame for it. A disclaimer was run on the channel for the last 5 days of the show blaming him for its end. Gul Khan went on to produce another hit show on Zee TV right after that, their hate neither could bring her down nor is going to affect her. But their love for Barun definitely proved to be toxic for him. Barun wasn’t seen on television after that until he was brought back by the same producer again in 2017. Such disclaimers aren’t too healthy for an artist in the long run and shutting down IPKKND didn’t help anyone except satisfying the fans’ ego. Some people may ask us on twitter why we aren’t using the hashtags of Ishqbaaaz fans much – Well, the answer is we will not repeat the mistakes we committed during IPKKND. We will not publish rumors against the makers of any show. We will not say that a show earning butter and bread of hundreds should end and we will not write articles maligning the image of anyone no matter what other ‘invisible until now’ publications decide to do for the sake of hits. We have written on Ishqbaaaz a lot – Praising it, loving it, criticizing it more than anyone. We have also said earlier when the fans had jumped on us for writing a criticizing article on the show that we will NOT stop writing on it for anyone except the authorities. 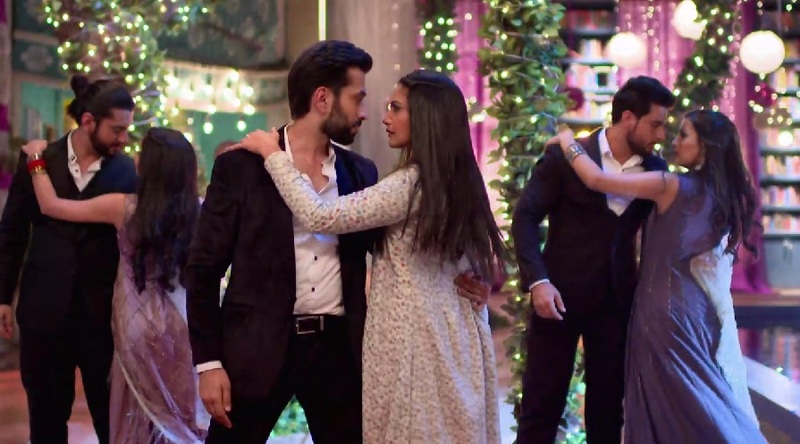 And today we stick to every word of it – We stick to Ishqbaaaz, its present and its future, however good or bad it is, because we believe ‘the show must go on’! And by the end of it, we will also say that all our good wishes are with Surbhi Chandna. She is a great artist and if she can play Annika so perfectly, she can play way more beautiful characters and surprise us in future. We are excited for her future endeavours and will always be with her. Her fans will obviously don’t understand maturity and will still end up bashing, badmouthing and cursing us. Go on. We are habituated getting that from Ishqbaaaz fans. That’s all they did in the last 1 year and are still continuing with it. At the moment, fans’ love and concern for Surbhi is overshadowing the rational thinking and overlooking the cons that come with it. This world of showbizz will still go on and will keep doing so with all the love that viewers pour in. But this love minus the bashing, the extremities is all that’s needed for your favourites to progress too! And one must remember that. CONFIRMED : Sisila Badalte Rishton Ka To Continue On Voot Instead Of Colors TV! 6 Pack Band 2.0 Along With Nakuul Mehta, Divyanka Tripathi, Rithvik Dhanjani, Karan Kundrra And Others Voice Out We Are All God's Children - Message Hits Bullseye!